Md. Ziaul Haque is originally from Zakiganj, Sylhet, Bangladesh. He is an award-winning poet, writer, actor, novelist, dramatist, director, film writer [screenwriter], literary critique, academic, thinker, philosopher, singer, songwriter, short story writer, rhymer, translator, reviewer, columnist, essayist, researcher and scholar. He earned his B.A [Hon’s] and Master’s degrees in English language and literature from Shah Jalal University of Science & Technology, Sylhet. His pen name is 'শব্দরাজ' [transliteration- 'shobdoraj'] in Bangla and its translation is 'King of Words' in English. He is honourably called 'The Poet of Creativity' and 'The Great Poet' by the readers. Md. Ziaul Haque's writings are frequently published in the famous national and international literary journals, newspapers and magazines. He invented many words, terms, literary and poetic forms: "Poetenry" [poems of ten lines], "Kurine" [poems of twenty lines], "Distant-author" [a writer who is currently a citizen of another country but writes about his motherland and its people, culture etc. ], "Prosaic-ideas" [ideas in brain appear in prosaic forms, they do not normally follow any metrical composition], "Translation of Objects" [in literary works, objects can also be translated and mistranslated since they are considered as equivalents to something else], "Post-postmodern Age" [the proposed name of the era after Post-modernism as the writer mentioned in a newspaper article], "Intentional Delay of Vision" [not seeing or avoiding the reality intentionally], "Jealouty" [jealousy + beauty]- [a feeling of being jealous of another person's beauty or handsomeness; in Bangla, পরশ্রীকাতরতা], "Inextrovert" [introvert + extrovert]- [a person who is normally quiet or shy and feels uneasy to talk to other people but sometimes becomes friendly and likes the company of others], "Kidultnap" [kid + adult + nap]- [the action of taking away both kids and adults by force to detain them as prisoners and demand money from their family members for returning them], "Foolligent" [fool + intelligent]- [a person who behaves foolishly sometimes but acts intelligently in certain circumstances; foolish but sometimes intelligent], defined the word "Simplex" in a new way- [Simple + Complex = Simplex]- [A problem or something else that seems simple but is complex actually], "A Writer’s Religious Partiality" [A writer’s religious partiality becomes clear when he chooses the names of the characters for most of his stories, novels etc. from his own religion], "Prosetic" [Prosaic + Poetic]- [A poem that is prosaic in form but looks poetic also since it has rhymes], "Consequential Colonialism" [The names of places of the colonised countries that remind the local citizens about the colonial moments of the past], "Smellwitness" [A person who has smelt something and is able to tell about it to others], "Poeten"- [The poet who writes only ten-line-poems], "Poestory" [Poetry + Story]- [A new genre of writing in literature that is created by blending two words i.e. poetry + story. In a word, it is a type of writing where a story has both the qualities of poetry and prose], "Prosetry" [Prose + Poetry]- [Having the qualities of both prose and poetry], "Death-vision in the Objects and Minor Accidents"- [Objects and minor accidents that sometimes indicate at bigger and terrible accidents where people may die], "Haqueian Verse" [A new form of poetry created by me is called ‘Haqueian Verse’, which starts with a single word; it has five lines that contain ten words in total. The poem ends with a single word that rhymes with the first word], “Murder Committed by Using Words and Gestures” [Iago drives Othello towards the point of insanity by spreading rumour about Desdemona. He suffers psychologically as his honour is at a stake and his self-respect is ruined. As a result, Othello murders his wife; Broadly, Iago commits the murder of Desdemona and Othello by using his cunning words and gestures. ], "Deathreat" or "Dethreat" [An expression of intention to murder someone; a threat by one person or a group of people to kill another person or group of people. ], "Philogy" [Philogy is a mixture of two words- Philosophy and Logic. It means the study of philosophy and logic at the same time. In other words, it is the branch of knowledge that deals with philosophy and logic. ], "Philogical" [Philogical is a mixture of two words- Philosophical and Logical. It means an idea, expression or thought that is philosophical and logical at the same time. ], "Medition" [Medition is a noun and verb. It is a mixture of two words- Medicine + Meditation. As a noun, it means the action or practice of meditating or meditioning by taking some friendly medicines or drugs that have no side-affects. It is the act of taking some legal or less harmful drugs and giving one's attention to only one thing as a way of becoming calm and relaxed. However, the drugs are not allowed in the religious meditations; as a verb, it means to take harmless drugs and think deeply about something. It also means to take drugs that have no side-affects and think calm thoughts in order to relax. However, drugs are not allowed in religious kinds of meditations. ], "Shakespeareius" [It is a noun and adjective; a mixture of two words- Shakespeare + Genius. As a noun, it means someone who has William Shakespeare's exceptional, intellectual or creative power in him; as an adjective, it means a person, ideas, writings, thoughts etc. have the qualities or characteristics of William Shakespeare or his writings], "Fiverse" [Five + Verse: Poems of Five Lines, a new poetic form created or invented by me. In Bangla, it is called পাঁচপদী কবিতা. There are 5 lines and total 15 words in it. 1st line has 1 word; 2nd line has 2 words; 3rd line has 3 words; 4th line has 4 words and 5th line has 5 words. 1st line rhymes with the 2nd line; 3rd line is unrhymed; 4th and 5th lines rhyme with each other. The rhyme scheme is: AABCC. There are no punctuation marks at the end of the lines], "Powery" ['Powery' is an adjective that is similar to 'powerful'. It means having great power or strength. ], "Songer" [A songer is a person who writes songs or lyrics. It also means a person who writes popular songs or the music for them. ], "Tennet" [Poems of Ten Lines]. His favourite pastime activities include- playing chess, listening to good music, angling and occasional theatre directing. In addition, he likes to keep in touch with the friends and readers on the various social networking sites. His writings are full of 'creativity'. It is worth mentioning that he is a dreamer and optimistic by nature. 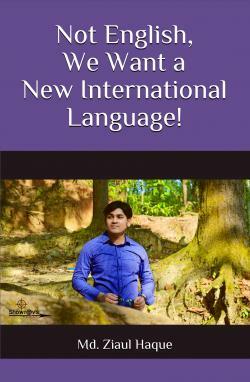 At present, he teaches English Language and Literature at University of Creative Technology, Chittagong, Bangladesh. "A talented person is supposed to be studious but a studious person may not be talented"- quote from me. Hobbies: Acting, Playing Chess, Badminton, Listening to Good Music, Angling and Occasional Theatre Directing.